Oil on Canvas, About 3'x4' in size. 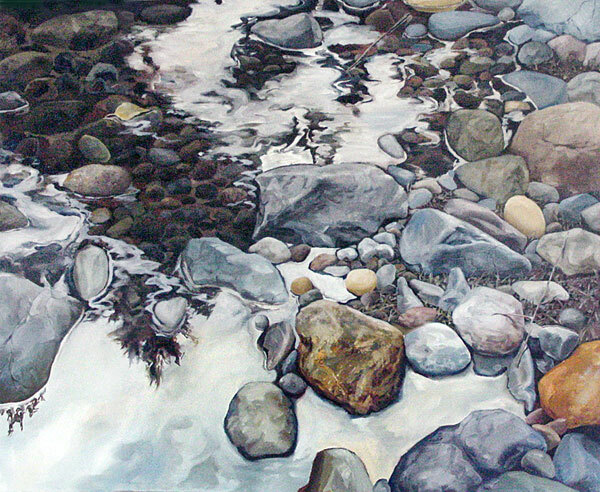 This is a large painting, the first one I did looking straight down into the riverbed. I loved this idea so much that I continued it on for a few other paintings. Sold to the Battle Ground Community Library, November 2014!